Growing up as a Melbournian, the old deaf club at Jolimont was my and my dear friend Anne’s lifeline when we were learning Auslan at 18! We were lucky to have great role models ie, JML, Greg Culpitt, Noel Phillips the Hately family and the list goes on. Each Thursday we would all meet for coffee and a bite then jump on the tram for the short ride to Jolimont. It was there we could let our hair down and come together as one. Hearing visitors were the odd ones out at our special club as they could not communicate, I guess you could say back in those days we tended to ignore hearing people if they came to the deaf club if they could not sign. For me and most of my oral friends fresh out of Glendonald at Kew the Jolimont Deaf club put us all where we are today very fluent in Auslan! Those were the days, some of the best experiences of my life, everyone looked up to each other, everyone knew each other. Everyone at the deaf club was one big happy family and treated each one of us as if they were our blood family. I’m guess in a way they were. To bring back the good o,d days of the “deaf club” the deaf community would have their “family” home bck again. Yes, Jolimont Deaf Club in Melbourne was a fabulous deaf club. I went there a few times and it was always packed. 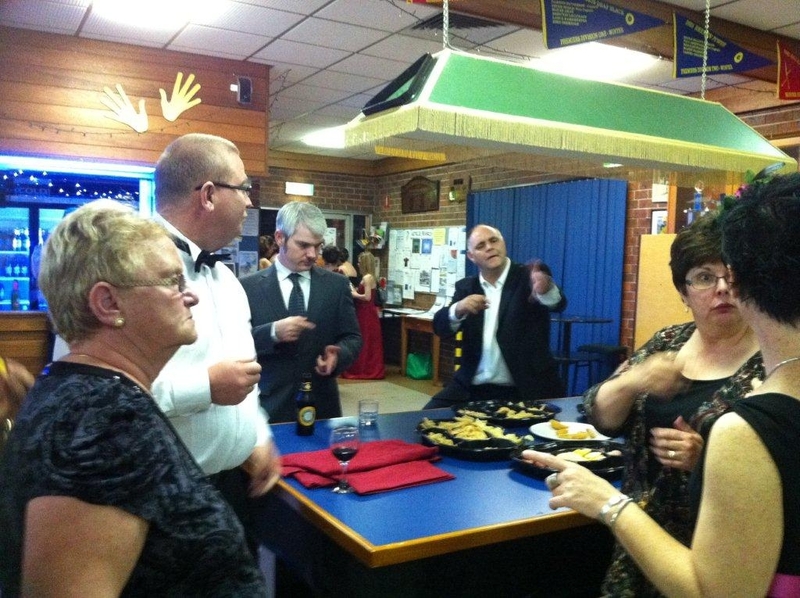 My parents being deaf of course joined in the activities of the Jolimont Deaf Club. They played tennis in the grounds, we kids played with other Dodas/Codas during this time. I have fond memories of the garden we played in whilst the tennis playing went on, sometimes we went to the corner shop across the road to buy lollies or icecream. Afterwards, we would go and have showers and then shared dinner and then stayed on for evening activities. It could be old time dancing, it could be the various games we played, me being a ‘kid’ would walk around chatting to players around the table (spying of what they had) we kids went outside in the afternoon or evenings to the front and watch people going by, to MCG to watch VFL (now AFL) or to town. We knew all the boarders from the boarding house. We went into the deaf church to play in, behind the pews etc, no one watched us. There was a ‘nursery’ outside the main hall, parents could easily pop in and check on their babies. There was a billiard room upstairs, near where my uncle Melby had his office. It was easy to park our car. It was easy and safe to walk or catch tram to the cinemas in town. So many role models we obtained from all the elderly folks. Auslan was rich everywhere although we didn’t have a name for it then. Yes, I have the most wonderful memories of the Jolimont Deaf Club in Victoria. Pingback: Born too late: Missing out on the experience of Deaf clubs. | I Sign. I Wander.